These are great to nibble on while watching something nice on Netflix on a Friday night, especially if your hubby insists on munching something irresistible and so totally full of grains, gluten and all sorts of other things you’re not allowed to have. Ahem, love you dear. Don’t be shocked by how long these take in the oven. 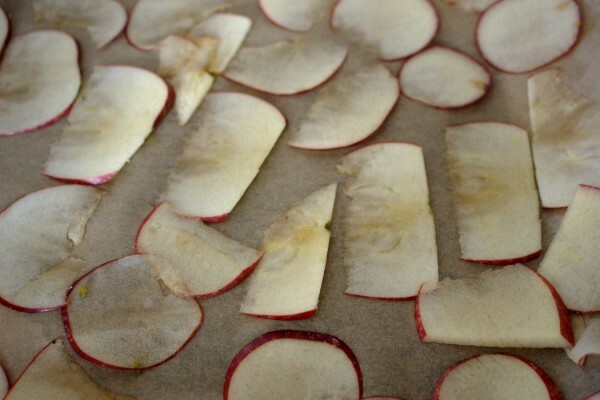 The idea is that you have to dehydrate them rather than cook them-note also the extremely low oven temperature. Also, you don’t have to stand over them, checking them a few times will suffice so while they are drying out you are free to sit down and relax, or not if you’re a mom :)! I use Himalayan pink sea salt on these because I love its flavour and I love the excuse to use it on anything. Apart from looking seriously pretty, it also contains essential minerals and is lower in sodium than regular table salt. Win, win! You can purchase it in most good health stores. 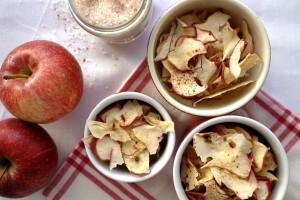 These chips will keep for a day or two in an airtight container but are best eaten right away. Preheat the oven to 80°C Fan, 100°C electric, 212°F, or gas mark 1/4. 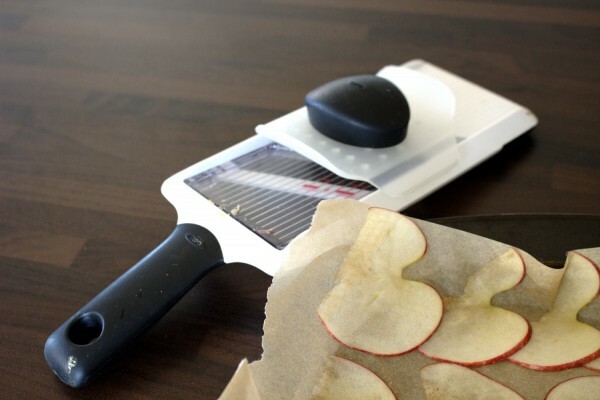 Slice the apples into very thin slices, discarding the cores. A mandolin is best for this. 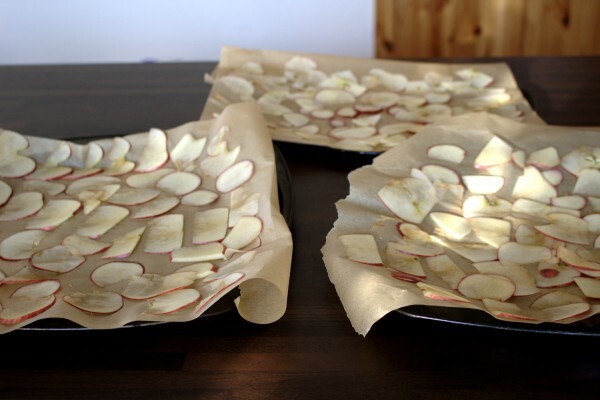 Lay the slices out on parchment-lined baking trays. I used three. 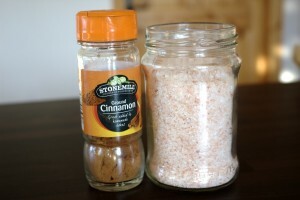 Sprinkle generously with cinnamon and pink sea salt (if using). Place them in the oven and bake for approximately 2 hours, 45 minutes. Check them roughly every 45 minutes. 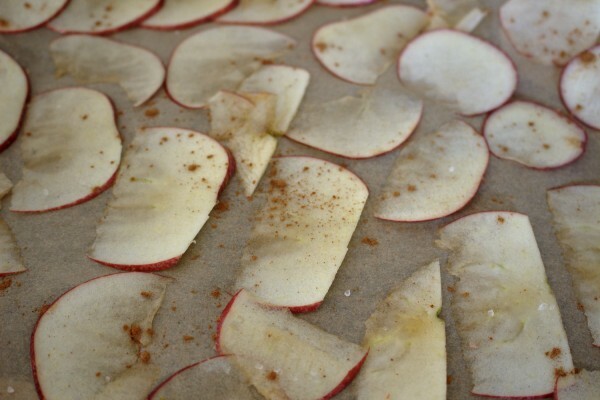 The end result should be crispy apple chips. If they are still soggy, they need to be dried out more.